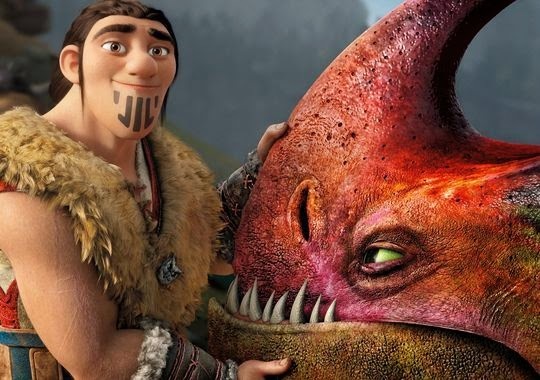 Animated Film Reviews: Deleted Scene from "How to Train Your Dragon 2"
This is a deleted scene from DreamWorks Animation's "How to Train Your Dragon 2." Please note that it was never completed and is still in sketch form - which actually should make it more interesting to animation geeks like us! I know, speak for myself. Anyway, as background, one of the year's big animated releases was DreamWorks Animation's "How to Train Your Dragon 2" last summer. Well, as autumn follows summer, after a major release like that, we start getting releases of the film in various other formats. 21 October 2014 sees the release in digital form of the film, available via digital download from DreamWorks' website. DreamWorks Animation’s 'How to Train Your Dragon 2' will be available on DVD and Blu-ray on 11 November 2014, just in time for the holiday season. As part of its promotion for this re-launch, DreamWorks TV has debuted this deleted scene. They went to the trouble of putting in voices and generic background music and everything, but still left the animation itself in sketch form, which is an interesting choice. Presumably that means they want to leave it deleted and not have it pop up in "Director's Cut" versions or anything like that. The scene shows Hiccup when he first meets Eret, and comes up with a swashbuckling plan to teach him that dragons and people can be friends. It is kind of hokey, but good-natured. It also is kind of a long scene for the amount it advances the story, which is probably the real reason why it was cut. Dusan Brown introduces the scene. How to Train Your Dragon 2 is coming to Digital HD this October 21st, and right now you can get even more Dragons action in this deleted scene from the movie! 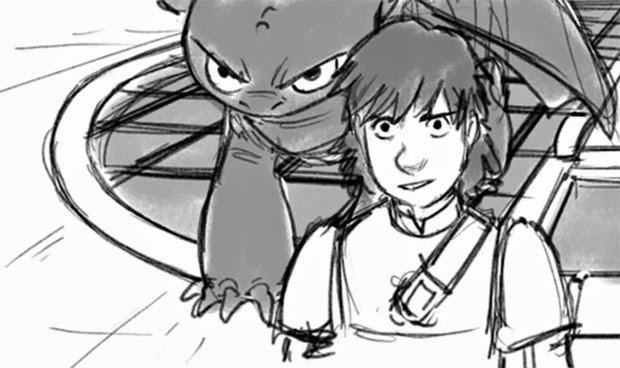 When Hiccup first meets Eret, he comes up with a swashbuckling plan to teach him that Dragons and people can be friends.